Yesterday’s news breaking in Europe and around the globe continues the terrible saga of the Madeleine McCann investigation. On May 3, 2007, 3-year old Madeleine disappeared from an apartment rented by her parents for a family vacation. This event took place in Praia da Luz, in the southwestern part of Portugal. Her case has never been solved. Not a surprise, given the investigations performed both privately and by the law enforcement community. I can’t imagine the hell that the McCann family has been through. My office was contacted the same month that Madeleine disappeared by representatives of the parents, Kate and Gerry McCann. A few weeks later, we were advised that another agency had been selected to privately investigate this matter. On Sunday, I was contacted by the press regarding accusations that Kevin Halligen (the private investigator hired by the McCann’s to locate their daughter) stole and wasted search funds totaling almost $400,000. The funds were allegedly used to furnish a lavish lifestyle, staying in high-end hotels and, most distressing, of hiring unqualified private investigators. This peculiar twist in the ongoing case is detailed in Netflix’s new documentary, The Disappearance of Madeleine McCann. The McCann’s have accused Halligen of being a globe-trotting conman. I would love to have interviewed Mr. Halligen about his investigative efforts. It would be interesting to read his reports and findings (although I have never seen any published) and to review his “evidence.” That will never happen as he suffered a brain hemorrhage and was found dead last January. Over the past twelve years, I have given a handful of interviews about this case and written on particulars of the investigation. I do wish we had been selected as the lead agency, and I often wonder what difference we could have made in this investigation. Maybe it would have been none, but I guarantee though that the thousand questions still unanswered would have be majorly reduced in number. In my most recent book, Seeing Life Through Private Eyes, I dedicated the entirety of Chapter 7 to these types of cases. In the chapter, I present a checklist of elementary items to do if you are faced with this dilemma. Not many of those guidelines and axioms were applied to the McCann case. The single most important quality for a private investigator is the art of interview and interrogation. I don’t know if this skill ever reached the investigative table for this case. I don’t know if the local law enforcement community even had this ability. Given the abundance of unanswered questions and roads left untraveled, I would imagine they did not. The twelve-year mark since Madeleine disappeared will be here next month, May, 2019. Let’s be clear: She was taken. She didn’t walk out of the apartment on her own. Seasoned and experienced investigators know the clock is ticking on this matter. Can it be solved? Sure. All five investigators must excel at the interview and interrogation process. All five investigators must have international experience. 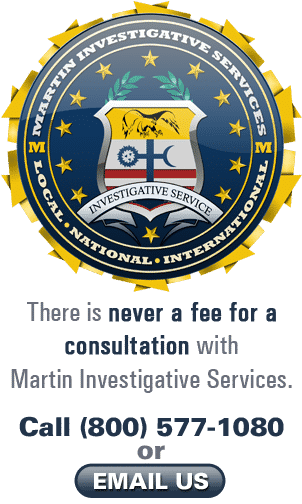 All five investigators must know how to coordinate the investigative process with the local law enforcement establishment both foreign and domestic. All five investigators must agree on starting completely over from day one. All existing reports must be read and reread over again for missed opportunities and leads. All five investigators must agree to work at a discounted hourly rate as agreed to by the family. All five investigators must agree to fly coach and stay in bed and breakfast style lodging where available. All five investigators must agree to initially stay for 30 days before a one-week visit home. No more than one investigator can be gone at any time. All five investigators must agree to a 90-day initial investigative effort with a full report of findings to the family on that date before continuing further. The five investigators must vote one investigator to be lead person on the investigation. One investigator must be designated to interface with the team from the Portugal law enforcement community and a McCann family representative. A couple years ago, it was the 10th anniversary of Madeleine’s abduction. I was interviewed by A & E Real Crime reporter, Rachel Bozek. I candidly spoke to her about my insights, what I thought happened, questions that still need to be answered and what would be the first thing I would do on a case like this. You can read that interview here. I do hope the family is fortunate to get their team of five, and that this case is given the due diligence it deserves.